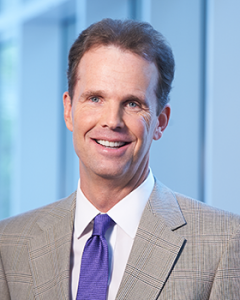 Gary Chesson co-founded Trinity Capital Advisors in 2001 to acquire and develop office, industrial, and mixed-use assets throughout the Southeast. He oversees the firm’s office acquisition and development activities and is responsible for raising high net worth and institutional capital for investment throughout Trinity Capital’s portfolio. Investments are capitalized through Trinity Capital’s Value Fund series and through partnerships with many of the country’s top institutional investors. The firm has acquired or developed more than 15 million square feet of space totaling over $1.9 billion. Projects include some of the most successful workplace real estate properties in the Southeast, such as Perimeter Park, Ally Center, NASCAR Plaza, Perimeter Woods Business Park, Toringdon Office Park, and Westlake Business Park. Gary, a 26-year veteran of the commercial real estate industry, is also a co-founder of sister company Trinity Partners, which serves as Trinity Capital’s operating platform. Before founding those companies, he worked for Childress Klein Properties and focused on office leasing, development, and tenant representation. He is a graduate of the University of North Carolina at Chapel Hill, where he frequently lectures at the University’s Kenan-Flagler Business School. Active in the community, Gary has served on the boards of the Urban Ministry Center, Alexander Youth Network, the Charlotte Rescue Mission, and Charlotte Family Housing. In addition, he’s active in Social Venture Partners, the Hopeway Foundation, Purple Stride Pancreatic Cancer Awareness, Running Works, The Relatives, and Thompson Child & Family Focus. He’s also a youth Sunday School teacher at Christ Lutheran Church.